Say what you want about Apple; the company still has a lot of avid customers that other companies could only dream of. Apple Watch has been under a lot of pressure lately, with Android Wear-based smartwatches offering better designs and a more luxury feel. In fact, a lot of reviewers weren’t impressed with Apple’s take on smartwatches. Well, this next news may prove them wrong: Apple managed to sell around 1 million Apple Watch on the first day alone. 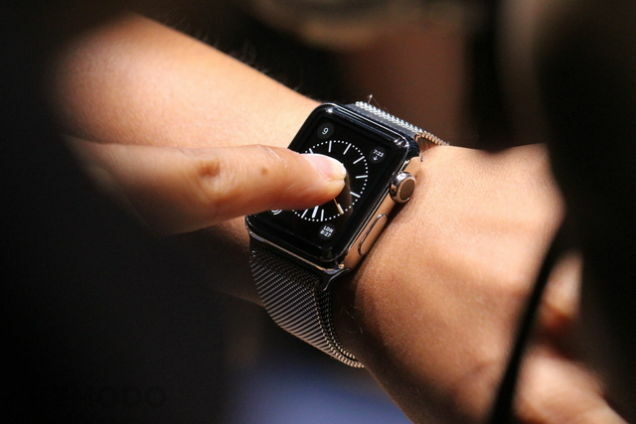 Apple Watch will be officially available on the 24th of April, but the company allows its customers to pre-order and reserve an Apple Watch beforehand. They even set a limit of just one Apple Watch per user due to supply issues. Nevertheless, Slice estimated over 950.000 Apple Watch were pre-ordered as soon as it went available. As expected, most customers opted for the Apple Watch Sport model. This is the most affordable model available, but even this model costs $349. The 42mm model is also more popular than the smaller one, so it is safe to assume that most of the buyers are male. Keep in mind that the data from Slice doesn’t include sales of Apple Watch outside the United States. Countries such as Canada, Australia, United Kingdom, Germany, France, Japan and China are all allowing pre-orders. China should be a big market for the Apple Watch, especially with a lot of people converting to iOS device across the country. It will be a while before we can confirm the actual sales of Apple Watch. The report from Slice should be a very good estimate, but Apple will not disclose the actual number. The company will also combine the sales figure of Apple Watch with “Other Devices” in its quarterly earning report, which means the sales figure of Apple TV, the iPod and other Apple products will obscure the actual numbers. Despite everything, the estimated figures are amazing nonetheless. 1 million devices sold in just a few hours is definitely a new record. Add the fact that Apple Watch has received mixed reviews over the past several weeks, and you have one spectacular achievement only Apple can pull off. Slice also reported on the sales of the new MacBook. The source claimed that an estimated total of over 48.000 new Retina MacBooks were sold. Not only that, most of the people who bought the new MacBook also purchased the Apple Watch. It goes to show how loyal Apple’s customers are. Normally, Apple would announce the sales figures on the following Monday. Sources are saying that this will not be the case with the Apple Watch, but stay tuned for more updates right here. While Apple has had a lot of success, it would really be nice if they could tweak their prices a little more, as many people from all around the world may actually turn to other smartwatches in the case that they do not find an Apple Watch model that they like, available at a more affordable price when compared to the competition. Based on everything that has been outlined so far, what do you personally think about the sales that Apple has had so far? Have you purchased your own Apple Watch? Please let us know your thoughts in the comments section below.